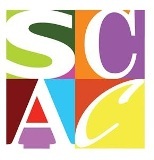 Two statewide literary arts entities announce a joint initiative to launch the state’s first comprehensive Alabama Writers Hall of Fame. According to Lou Pitschmann, Dean of Libraries at the University of Alabama and director of the Alabama Center for the Book, and Jeanie Thompson, executive director of the The Alabama Writers’ Forum, the time has come for significant recognition of Alabama’s literary talent in creative writing. An advisory committee of scholars, writers, and arts volunteers has met once to consider selection criteria and will meet again in June to consider a field of nominees and to select the first class of inductees. While committee members are submitting their own lists, nominations from the field are encouraged and will also be accepted through June 9. For submission guidelines, contact writersforum@bellsouth.net. Alabama Writers Hall of Fame Advisory Committee members include Donna Adcock, Alabama Center for the Book and UA Libraries Director of Public Relations; Julie H. Friedman, Alabama Writers’ Forum (VP – Board of Directors), UA Library Leadership Board (Executive Committee), and long-time member of the Alabama State Council on the Arts; William Gantt, Founder, Southern Literary Trail and partner in the firm of Huie, Fernambucq and Stewart, LLP; Trudier Harris, UA English professor, Eugene Current-Garcia Award recipient for literary scholarship (2002), and Alabama Writers’ Forum Board member; Bert Hitchcock, retired Auburn University Professor of English and Eugene Current-Garcia Award recipient (2001); Jay Lamar, director of the Alabama Bicentennial Commission; Don Noble, retired University of Alabama English professor, host of Alabama Public Television’s BookMark, book reviewer for Alabama Public Radio, and Eugene Current-Garcia Award recipient (2000) ; Pitschmann; and Thompson. The first class of inductees in the Alabama Writers Hall of Fame will be honored at an event to be scheduled and announced at a later date, most likely in early 2015, Thompson said. Funds will be raised to commission and design commemorative artwork for the inductees, to plan the display area, and to develop public programs and educational curricula associated with the Alabama Writers Hall of Fame, Pitschmann said. 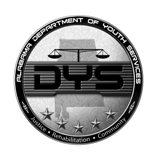 “We hope to have an Alabama artist design our artwork, specifying Alabama materials such as Sylacauga marble or cast-bronze. It is our intention to display the best of Alabama’s creative writers interpreted by our talented visual artists so that the entire effort is truly ‘made in Alabama,’” Thompson said. The Alabama Center for the Book is an affiliate of the National Center for the Book at the Library of Congress. It was established in 2000 at Auburn University under the direction of Jay Lamar for its first ten years. In 2010 it was relocated to the University of Alabama Libraries under the direction of Louis Pitschmann. 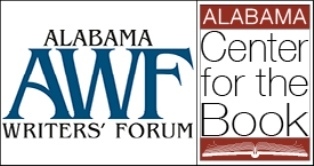 The Alabama Writers’ Forum (Montgomery), a statewide service organization and partnership program of the Alabama State Council on the Arts since 1993, has been integrally involved in the evolution of the Alabama Center for the Book since its inception.